Browse Artists and Groups Franklin Brownell, R.C.A. Despite the neglect suffered in the purgatory of Canadian museum warehouses and family attics, paintings by Peleg Franklin Brownell reveal themselves to us with the savour of accomplished art. Trained under the strict discipline of the French academic tradition, Brownell could dazzle the viewer with tectural rendering of skin and fabric in his figurative compositions. His mastery over the disposition of planes and balance of colour in the landscapes and urban views display his brilliance as an impressionist. A study of his work is a pictorial sojourn, which compels us to challenge the obscurity in which the artist's work has languished. The art of Brownell was overshadowed by a succession of developments in Canadian art. Namely, the search for a "Canadian" school during the prime of his life led to an overwhelming infatuation with the achievements of the Group of Seven. Another reason, despite the ingenuity and the daring with which he composed his pictures, his basic methods were relatively traditional. After the First World War, Canada, like the rest of the world, was no longer wedded to traditional values. In art, as in politics, there was a search for the avant-garde, which signified progress while the academic tradition manifested an image of officialdom. Neither an academic realist, nor a pure impressionist, Brownell could justifiably be called the first among Canadian romantic impressionists: a school of thought and practice preserving the orthodoxy of the perspective system as the basis for creating the illusion of space in a composition, yet free from the structure of realism. Born one hundred and fifty years ago on July 27th, 1857 in New Bedford, Massachusetts, Brownell arrived in Canada in 1885 and lived initiall in Montreal. He first studied in Boston at the Museum of Fine Arts and later at the Académie Julian in Paris under the French masters Adolphe William Bouguereau (FR, 1825-1905) and Tony Robert-Fleury (FR, 1838-1912). Brownell moved to Ottawa in 1887 to become headmaster of the Ottawa Art School. He occupied this position until 1900 and then assumed a similar role with the Women's Art Association of Ottawa which later became the Art Association of Ottawa. Disciples from this period, who later became renowned artists themselves, included Pegi Nicol MacLeod (CDN, 1904-1938), Henri Masson (CDN, 1907-1996) and Robert Tait McKenzie (CDN, 1867-1938). 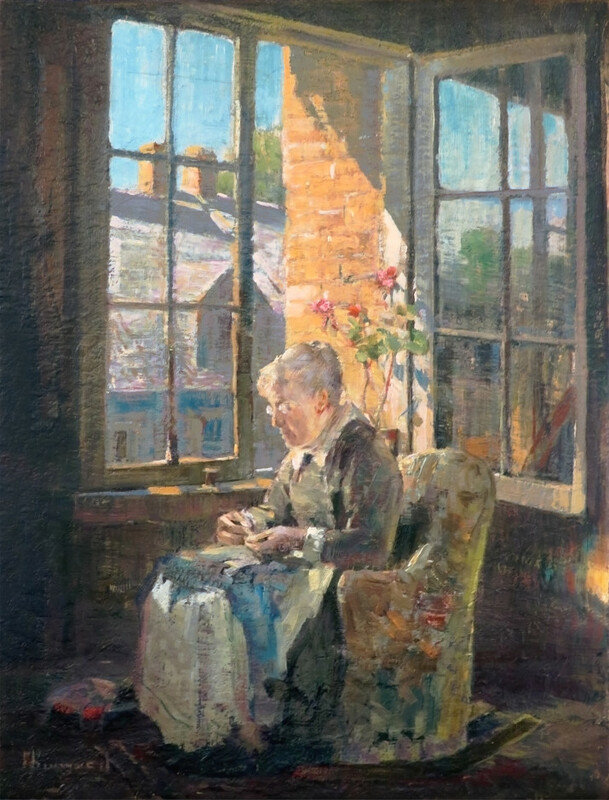 While teaching full time, Brownell continued to paint until his retirement in 1937. In 1896, he executed the well-known work, The Photographer, now in the collection of the National Gallery of Canada. This work won a medal at the Paris Exhibition of 1900. He was elected to the Royal Canadian Academy of Arts in 1895 and in 1907 became a founding member of the Canadian Art Club whose members included, among others, James Wilson Morrice (Cdn., 1865-1924) and William Henry Clapp (CDN, 1879-1954). Brownell, the man behind the painter, as recalled by his family, was distant and quiet; an artist who had the complete devotion of his wife Louise (née Nickerson) and his only child, daughter Lois. 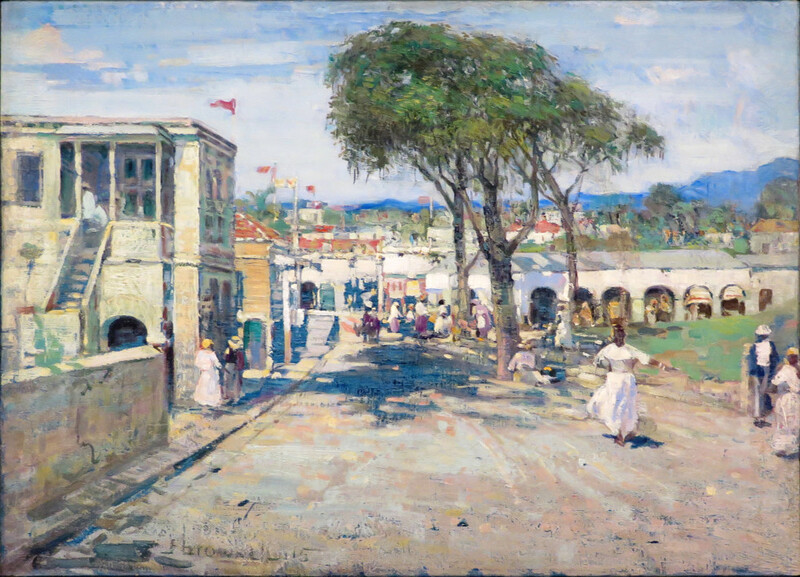 He was a close friend of Eric Brown, the founding director of the National Gallery of Canada, with whom he took painting trips to the West Indies in 1913 and 1914. The light and colour of the islands had an immediate and lasting impact on Brownell's work. His paintings of the people of the islands are totally unprecedented. Brownell seems to have looked around, and what aroused his curiosity was the coarseness of the light of the islands. He did not look, as others had, for the material misery that the island suffered, but rather, for the short moments of moral triumph in their lives. These images are, thus, the synthesis of a moment which gives to his subjects the nobility of life, and he obtained it with the absence of intellectuality in the people he rendered. It was a point of view in keeping with his character. While always aware of the public issues concerning the fine arts of his time, Brownell remained unattached to any particular movements or schools of painting. Whereas his contemporaries, including Maurice Cullen (CDN, 1866-1934) and Marc-Aurèle de Foy Suzor-Coté (CDN, 1869-1937), whom he knew, traveled to different places in pursuit of their art, Brownell remained committed to his adopted city of Ottawa. Throughout the 1920's and the early 1930's, James Wilson and Company, a well-known Ottawa art dealer, organized a Brownell show each year just before Christmas. These exhibitions continually sold out, contributing to the unusual financial security that the artist enjoyed during his lifetime. Established local families admired the artist's work and were regular patrons. In 1922, he was honored with a retrospective exhibition of his work at the National Gallery of Canada. In 1937, on the occasion of an exhibition featuring the Senior Painters of Canada, held by the then Art Gallery of Toronto, Brownell received high acclaim, along with Cullen and Suzor-Coté. Brownell's skill in painting interior scenes, executed mostly before his trips to the West Indies Islands, was the product of his training in the principles of academic theory,which required that a painting be judged by its conformity to the established standards for its divisible parts. Standards were set for drawing, composition, colour harmony and expression. Faithful to these principles, Brownell executed some of the most complex compositions involving youthful figures in domestic settings; they are among the best of their kind in Canadian art. The endless care that he lavished on his paintings to achieve total union between content and form, and the translation of his personal insights into harmonious images of his chosen subjects, resulted in a personification of his inner understanding of the transitions in human life. Now, a century later, his achievements are like instruments of war against the loss of innocence in a world riddled with chaos. Throughout his life, Brownell remained preoccupied with the challenge of mastering the structural organization of his themes. He perfected a personal method, abandoning broad brush sweeps altogether in favour of building his compositions through a succession of strokes with a finer brush. His paint handling was restrained by comparison to the Group of Seven's brush handling techniques. The extraordinary animation of the scenes of streets and markets of Ottawa, the figures and the swarm of horse-driven sleighs—never has movement been captured with such elusive, fugitive and instantaneous quality. At a distance, one hails in a glimpse of the past, rendered still and timeless with trembling light and shadow. But, come closer, and it all vanishes into an indecipherable, soft and predetermined application of paint. Brownell's sensitivity was active and evident. The strength and originality of his work from the prime of his career is lacking in his later paintings. Whilst there are inequalities in his work, like those to be found in the work of any innovator, every painting is, nonetheless, stated with the same conviction. He gave new character to his landscapes which are distinct from those of his contemporaries, and expressed the deepest intuitions of his nature. 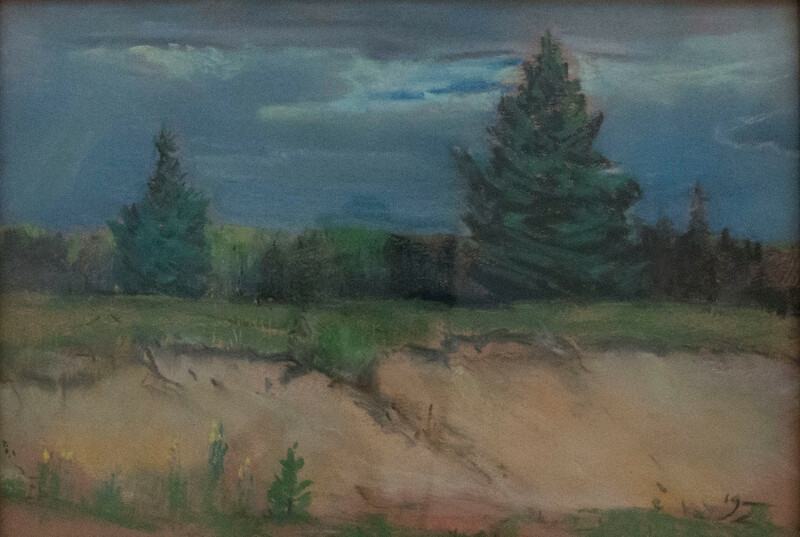 Brownell's interest in sketching en plein air, acquired during his visits to the West Indies, was reinforced when the Gatineau Hills, just northeast of Ottawa, became more accessible by motor vehicle. 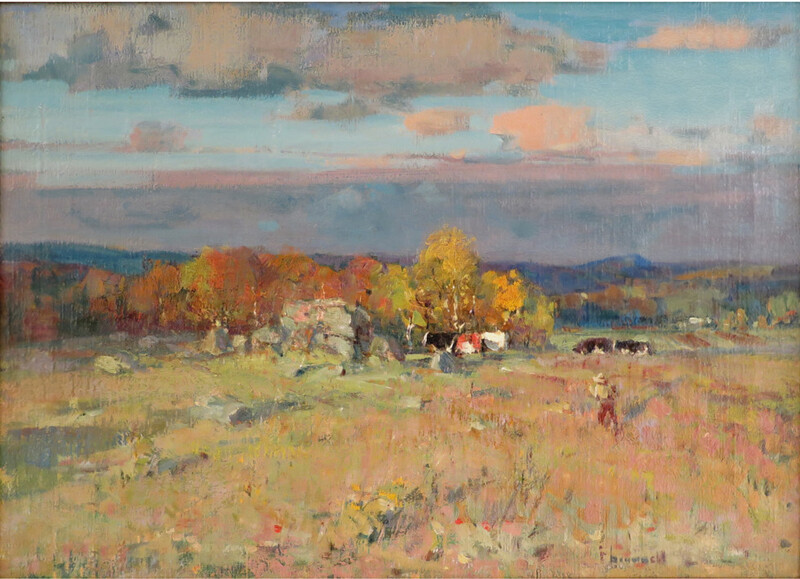 Frequently accompanied by the younger artist Frank Hennessy (CDN, 1893-1941), Brownell explored the landscape surrounding Ottawa. A favorite sketching spot was Pickanock, located north of the Gatineau River. A highly refined artist, Brownell undertook artistic challenges with a religious devotion. So deep was his commitment to the search for excellence that his family noted his habit of taking paintings off the wall of his home and reworking them until he was convinced they reflected his deeply-felt insights. In spite of the radical shifts and directions that the field of fine art underwent during his lifetime, he remained loyal to his own inspiration. In doing so, he shared an ethic with the other masters of Canadian impressionism: Robert Harris (CDN, 1849-1919) and George Agnew Reid (CDN, 1860-1947). Peleg Franklin Brownell died on March 13th, 1946, in Ottawa. Cherished by those who have discovered the beauty of his paintings, his best work is almost completely out of circulation. Now, one hundred and fifty years after his birth, it is gratifying to be treated by the Walter Klinkhoff Gallery to the accomplishments of one of Canada's most gifted Senior Painters. Source: Franklin Brownell Retrospective Exhibition Catalogue (Galerie Walter Klinkhoff, 2007). Written by A.K. Prakash. Please send me more details about the following artist. Franklin Brownell, R.C.A. signed with artist's initials, "FB." (recto, lower right).